IUCN in Switzerland is a guide line to the world’s rarest species of animals maintained by the International Union for Conservation of Nature (IUCN). The Red List released on November 25, has more surprises this year starting from Sea Turtles to Forest Giraffes. It has a combination of good and bad news for the animal enthusiasts. The happy news is that Leatherback sea turtles are showing increase in their population particularly in the Atlantic Ocean. 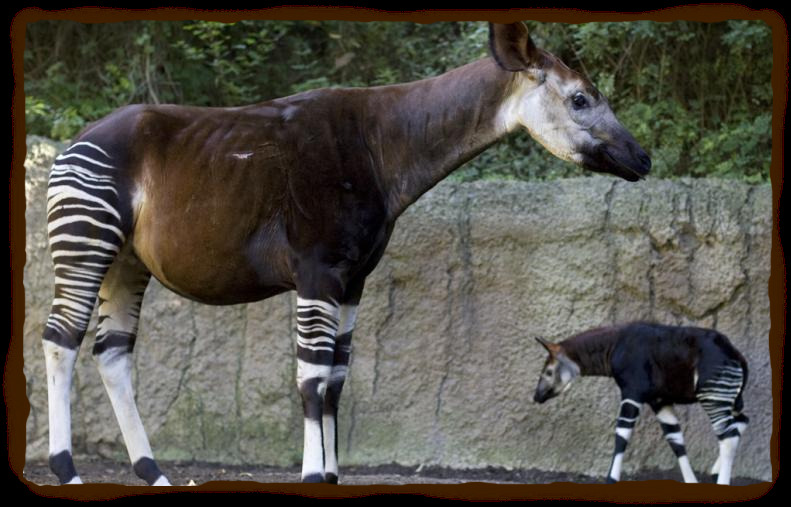 But the shocking news is that the Okapi, a very rarely seen mammal living in the thickly vegetated habitat in central Africa is in the brink of extinction. Also called as the forest giraffe, is on the brink of extinction. It was not discovered until the 20th century. It is a mammal that lives deep in the heart of the forest of Democratic Republic of the Congo. The stripes on its body remind us of a Zebra, but it is much more closely related to the Giraffe. The okapi is so rarely seen that it’s sometimes likened to a unicorn. When counted, it was shocking to see that the number of Okapi’s have gone down due to armed conflict and encroachment on reserves like Virunga National Park. It is mainly hunted for its meat and skin. 2. LEATHERBACK SEA TURTLES:- (recovers) These turtles are considered to be the largest living turtles, reaching up to 1,500 pounds/individual turtle. The number of turtles has been declining in the Pacific Ocean over the years, but their numbers have increased in the Atlantic Ocean. It is due to the greater care taken to preserve these special creatures nesting beaches, more regulations on fishing, and better fishing gear, and a crackdown on egg poachers. These white-winged fluffailed very secretive birds live in the wetlands, migrating to higher heights for reproduction. They have dove-sized bodies,with white wing patches and graying chestnut coloring over the rest of the body. It is mostly found in Ethiopia, South Africa and Zimbabwe. Only 700 breeding-age flufftails have been counted recently, this is because the wetlands are treated as waste areas that are drained and developed into other constructions. 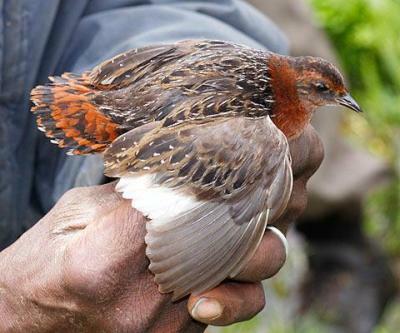 Ultimately the bird’s habitat is left under huge treat and it is pushing the birds into extinction. 4. A CALIFORNIA FOX:- (rebounds)A few years ago the California Fox was in quick decline, down to only 1,500 individuals. It was due to the predators like the golden eagles and rats, that ate them or spread disease to them. But now the National Park Service has removed the eagles, and reintroduced foxes, and saved them from certain diseases by inoculating them. Now they have 5,500 foxes in the park. 5. ALBATROSS:- (Ups and downs) These are large birds that travel long distances around the world. They spend most of their lives flying above the great Oceans using their broad wings. In an overall survey the Albatrosses are in a very bad condition. But there are some positive signs of recovery too. Their numbers have declined in recent years, mainly due to human activity like fishing which inversely decreases the bird’s food supply. For now there are only 1.1 – 1.4 million mature black-browed albatrosses and 129,000 mature black-footed albatrosses.